HF10 is delivered by the Senza Spinal Cord Stimulation system. Throughout this website all referenced devices including the Implant, Leads, and Patient Accessories are a part of the Senza System. When is the Senza System used? The Senza System is used as an aid in the management of chronic intractable pain of the trunk and/or limbs. This includes one-sided or two-sided pain associated with failed back surgery syndrome, intractable low back pain, and leg pain. FOLLOW THE INSTRUCTIONS FOR USE IF SYMPTOMS PERSIST SEE YOUR DOCTOR/HEALTHCARE PROFESSIONAL. In patients who have not received effective pain relief during a trial stimulation or are poor surgical candidates. With shortwave, microwave and/or therapeutic ultrasound diathermy. The Senza System has a very similar safety profile to other SCS devices that have been available for many years. The implant is surgically placed under the skin, so surgical complications are possible. As with other similar surgeries, complications may include infection, pain at the site of surgery, bleeding and in extremely rare cases paralysis or death. 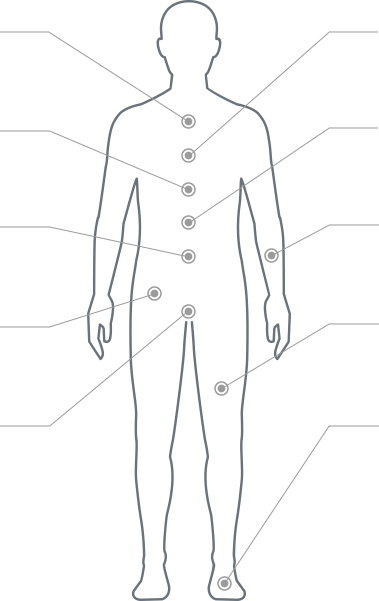 It’s also possible you may experience complications once the device is implanted including infection, loss of pain relief, lead migration, allergy, and pain/uncomfortable stimulation due to lead migration. These complications may result in replacement of the leads, corrective surgery or removal of the device. Please see the Patient Manual for important safety information and detailed MRI information. Also, please discuss the benefits and risks of any procedure with your doctor. All patients do not respond to spinal cord stimulation in the same way and results may vary.